Paul Potts coming to North Texas; Jerome Weeks already here. 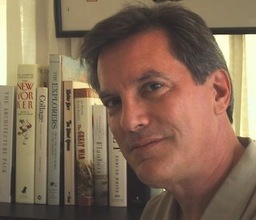 A weekly TV presence is in the works for Jerome Weeks, former book critic at The Dallas Morning News and now a member of Dallas-based KERA's Art&Seek staff. Beginning in May, Weeks will join host Krys Boyd at the end of the Friday television version of Think (7:30 p.m. on Ch. 13). KERA says he'll interview guests from the "world of art and culture" in a segment produced by another former DMN Arts & Entertainment staffer, Anne Bothwell. I'm not sure if TV qualifies as art or culture. In fact I'm pretty sure it doesn't. But if Weeks ever wants to explore the finer points of TV Land's The Cougar or NBC's upcoming I'm A Celebrity . . . Get Me Outta Here!, well, he knows where my lair is. Seriously, good luck, Jerome and Anne. This sounds like a good idea. 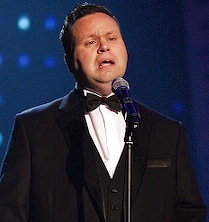 ***Before Susan Boyle, there was Paul Potts. And the plain-faced classical singer from an earlier edition of Britain's Got Talent is coming to Grand Prairie's Nokia Theatre on Monday, July 6th. Potts' latest CD is "Passione." Tickets go on sale Saturday, May 2nd at 10 a.m. via the usual venue, Ticketmaster.